FDIC Shuts Banks in Fla., Ga., Ore., Wash.
Regulators on Friday shut banks in Florida, Georgia, Oregon and Washington, lifting to 108 the number of U.S. banks to fail this year as the industry has struggled to cope with mounting loan defaults and recession. The Federal Deposit Insurance Corp. took over the banks: Bayside Savings Bank in Port Saint Joe, Fla., with $66.1 million in assets; Coastal Community Bank, based in Panama City, Fla., with $372.9 million in assets; NorthWest Bank and Trust, based in Acworth, Ga., with assets of $167.7 million; Cowlitz Bank in Longview, Wash., assets of $529.3 million; and LibertyBank, based in Eugene, Ore., assets of $768.2 million. Centennial Bank, a subsidiary of Home BancShares Inc. based in Conway, Ark., agreed to assume the assets and deposits of Bayside Savings Bank and Coastal Community Bank. State Bank and Trust Co., based in Macon, Ga., is assuming those of NorthWest Bank and Trust. Florida and Georgia are among the states with the highest concentrations of bank collapses and where the meltdown in the real estate market brought an avalanche of soured mortgage loans. The failures of Bayside Savings Bank and Coastal Community Bank brought to 20 the number of Florida banks that have fallen this year. Northwest Bank and Trust was the 11th Georgia bank to fail. Also high on the list of failure-heavy states are California and Illinois. Heritage Bank, based in Olympia, Wash., agreed to assume the deposits and $329.5 million of the assets of Cowlitz Bank. Home Federal Bank, based in Nampa, Idaho, is assuming the deposits and $419.7 million of the assets of LibertyBank. In both cases, the FDIC will retain the rest of the assets for eventual sale. The failure of NorthWest Bank and Trust is expected to cost the deposit insurance fund $39.8 million. Estimated costs for the others are: Bayside Savings Bank, $16.2 million; Coastal Community Bank, $94.5 million; Cowlitz Bank, $68.9 million; and LibertyBank, $115.3 million. With 108 closures nationwide so far this year, the pace of bank failures far outstrips that of 2009, which was already a brisk year for shutdowns. By this time last year, regulators had closed 69 banks. The growing bank failures have sapped billions of dollars out of the deposit insurance fund. 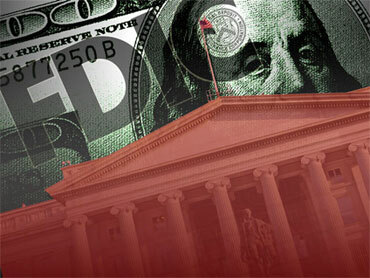 It fell into the red last year, and its deficit stood at $20.7 billion as of March 31. The number of banks on the FDIC's confidential "problem" list jumped to 775 in the first quarter from 702 three months earlier, even as the industry as a whole had its best quarter in two years. Depositors' money - insured up to $250,000 per account - is not at risk, with the FDIC backed by the government. That insurance cap was made permanent in the financial overhaul legislation recently signed into law by President Barack Obama.